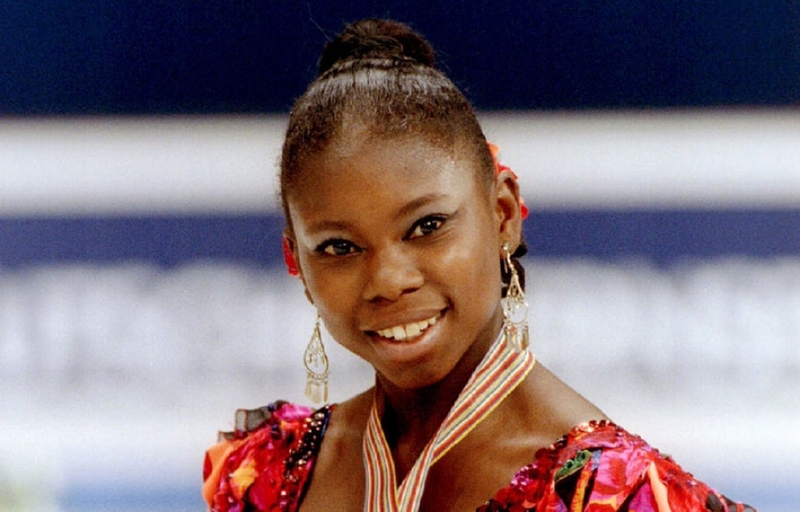 Surya Bonaly is a French-American professional figure skater. She is a three-time World silver medalist, a five-time European champion, the 1991 World Junior Champion and a nine-time French national champion. Bonaly was born in Nice, France in 1973 and adopted by Suzanne Bonaly, a physical education teacher, and her husband Georges, an architect who worked for the government. Georges and Suzanne initially told the media that their daughter had been born on the island of Réunion, because, as David Wallechinsky's Complete Book of the Winter Olympics explains, they thought this origin sounded more "exotic". When Surya approached the age of 18 and began researching her birth history, George and Suzanne admitted that Surya's biological mother had been from the island but that Surya herself had not been born there. Didier Gailhaguet, who was Bonaly's first coach of her competitive career, admitted fabricating the story because he thought it would interest the press. Bonaly became an American citizen in January 2004. She resides in Las Vegas, Nevada. Bonaly, a vegetarian, has appeared in many PETA ads in both English and French namely acting against Canada's seal hunt and against the fur trade. It was said that Gailhaguet discovered Bonaly when she was 10 years old and ice skating in a public session but years later, she said she had wanted to skate in Gailhaguet's competitive skating group and actually asked to participate. Bonaly went on to become a nine-time French national champion (1989–1997), five-time European champion (1991–1995), and three-time World silver medalist (1993–1995). At the Winter Olympics, she placed 5th in 1992 in Albertville, 4th in 1994 at Lillehammer, and 10th in 1998 at Nagano. Bonaly took the Athlete's Oath at the 1992 Winter Olympics. 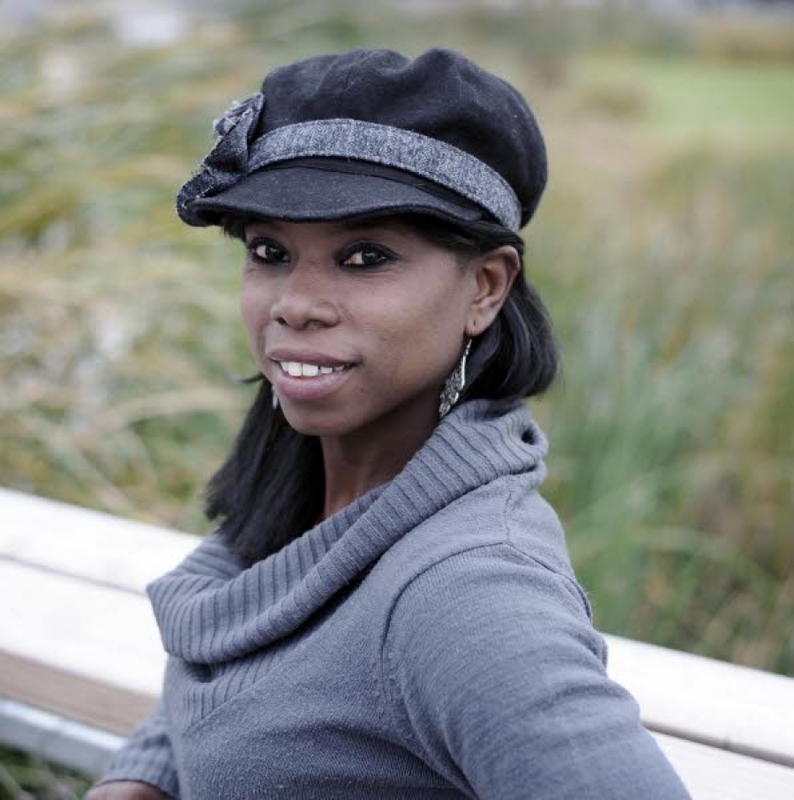 Formerly a competitive gymnast, Bonaly is famous for her backflip landed on only one blade. At the 1991 World Championships, she became the first and only female to attempt a quadruple toe loop jump. Her jump was not fully rotated in the air and she had to complete the rotation on the ice, making it a triple and not a quadruple. Bonaly was never credited with successfully landing the jump by the International Skating Union. At the 1993 World Championships in Prague, Bonaly took silver behind Oksana Baiul, who narrowly took the title with higher presentation scores. At the 1994 World Championships in Chiba, Japan – where Nancy Kerrigan, Oksana Baiul and Chen Lu did not compete – gold went to home country favorite Yuka Sato and silver to Bonaly. Upset by the result, Bonaly stood beside the medals platform rather than on it. She eventually stepped onto the platform but took off her silver medal after it was presented to her; she was immediately booed by the crowd.After the medals presentation, Bonaly's only statement to reporters was: "I'm just not lucky." She won her third World silver medal, behind Chen Lu of China, at the 1995 World Championships in Birmingham, England. In May 1996, Bonaly ruptured her achilles tendon, causing her to miss much of the following season. At the 1998 Olympics in Nagano, Japan, Bonaly finished well out of reach of the gold medal following the short program. Believing she was unjustly scored, Bonaly decided to perform her back flip during the free skate to make a statement. The move, illegal in competition, caused a stir and resulted in a deduction but Bonaly was content with her decision. Bonaly then retired from amateur competition. Bonaly toured with the Champions on Ice skating show for several years until it went out of business after 2007. She also performed in shows in Russia with Evgeni Plushenko and was a guest skater at Ice Theatre of New York's December 2008 gala in NYC where she successfully performed her back flip. Bonaly was an off-screen character on the "Will on Ice" episode of NBC's Will & Grace which originally aired on January 12, 1999. In 2010, she was a finalist on La Ferme Célébrités season 3.